Sport items for: tennis, badminton and ping-pong. 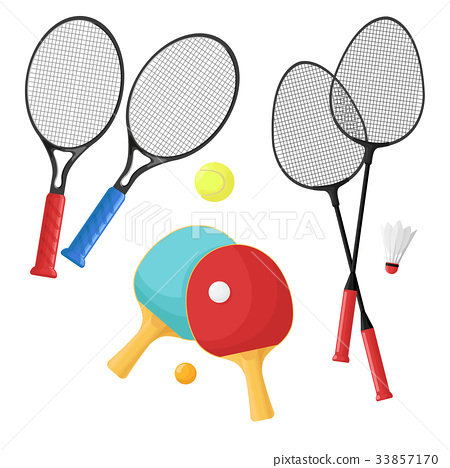 图库插图: Sport items for: tennis, badminton and ping-pong. Sport items for: tennis, badminton and ping-pong. Rackets and balls, shuttlecock isolated on a white background. Vector illustration.